Holidaymakers are believed to be among 40 people evacuated from a seafront apartment block in Tenerife after it was hit by 40ft waves. The local Mayor, Alvaro Davila, said 65 apartments were evacuated in Garichico, north-west Tenerife, some of which are holiday homes. The storm also caused flooding, with cars being swept into the sea and the windows of a restaurant in the region of Adeje being smashed by the force of waves. The regional government has issued a severe weather warning for the island and other parts of the Canary Islands. It is not known if any Brits were among those evacuated. 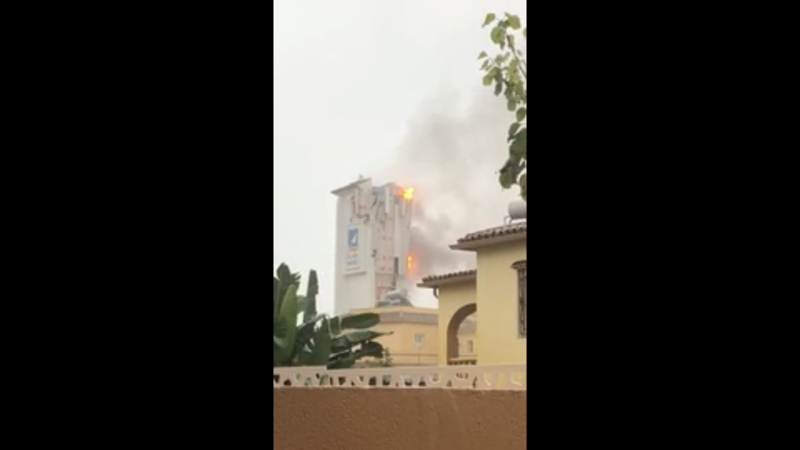 Meanwhile, on the mainland, in the Las Chapas area of Marbella, a fire broke out in the Playa Hotel after it was struck by lightning and there have been heavy downpours in Mijas, Ojen and Coin. Valencia and parts of Costa Blanca on the Spanish mainland have been put on red alert amid forecasts of torrential rain.